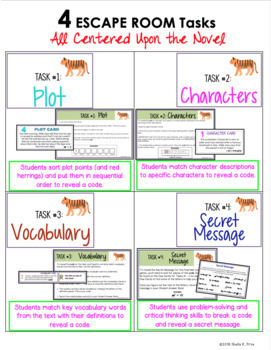 ESCAPE ROOM- The Tiger Rising by Kate DiCamillo- Fun Interactive Novel Activity! 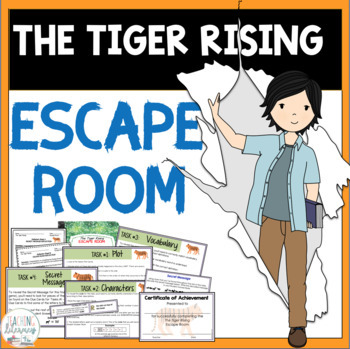 This ESCAPE ROOM is designed to be used after reading the novel The Tiger Rising by Kate DiCamillo. 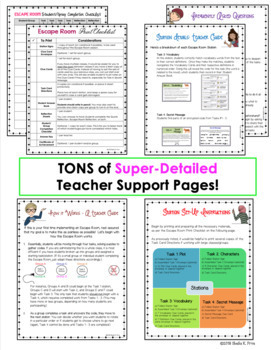 It assesses students’ knowledge of major story events (Task #1), characters (Task #2), vocabulary (Task #3), and theme (Task #4 with the Quote Reflection) through the use of 4 coded stations. 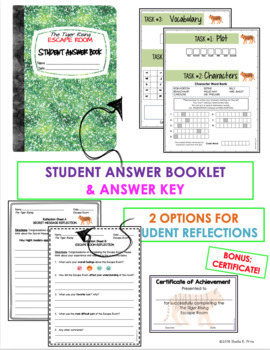 This product also allows students to reflect on themselves as learners (Escape Room Reflection).